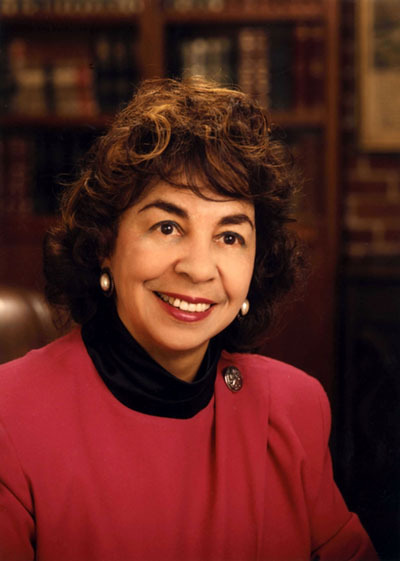 Former Democratic assemblywoman and state senator, the Honorable Teresa Hughes, has passed. Hughes’ husband, Dr. Frank E. Staggers, announced that she died suddenly at a hospital Sunday. Hughes will long be remembered for her strong advocacy for educational opportunities for all Californians — and for being the consummate legislator, having served both in the Assembly and the Senate for 25 years. Hughes represented the people of the 47th Assembly District from 1975 – 1992 (South Los Angeles, Bell, Compton, Cudahy, Huntington Park, Downey and Compton). She was reelected for eight terms. Then in 1993, she was elected to the state senate, representing the 25th Senate District, which included Marina Del Rey to the city of Paramount. There she served two terms until a new term-limit law required her to step down in 2000. According to her colleagues, Hughes was a quiet warrior, with a warm spirit usually in short supply in the legislative halls. Teresa Hughes was a tireless fighter in Sacramento, advocating for better health care and housing. She was the second Black woman to serve in the legislature; the first was Yvonne Burke. Raised in Harlem, she attended Hunter College in New York, graduating with a bachelor’s degree in physiology and public health. From New York University, she received a master’s degree in education administration. She moved to Los Angeles in the late 1960s to work on her doctorate in education administration from the Claremont Graduate School, after which she became an assistant professor of education at the California State University at Los Angeles. Prior to being elected to the state Assembly, Hughes was a legislative consultant for the State Commission for Teacher Preparation and Licensing. She also served as an administrative assistant to then state-Senator Mervyn M. Dymally (who now serves as director of the Urban Health Institute at the Charles Drew University of Medicine). She entered politics in Los Angeles, Calif., when she was elected to the state Assembly in a special election in the heavily Democratic 47th Assembly District in 1975, replacing Assemblyman Bill Greene, who had moved on to the Senate. Her district was composed of much of South L.A. as well as the cities of Bell, Compton, Cudahy, Downey and Huntington Park. In 1983, then Assembly Education Committee chairwoman Hughes co-wrote a bill that ratcheted up educational standards in the areas of graduation requirements and teacher standards. The bill also raised teacher salaries. In 1985, she chaired a bipartisan Caucus of Women Legislators, as the most senior female legislator at that time. In 1988, the Los Angeles Unified School District, in recognition of her strong commitment to improving education in the city, renamed an elementary school in the city of Cudahy the Teresa Hughes Elementary School. One of her biggest accomplishments was authoring the bill that led to the creation of the California Museum of Afro-American History and Culture within the Museum of Science and Industry. Many of her friends and associates, from back in the day through today, expressed their great sadness upon the news of her passing. One of them, Congresswoman Maxine Waters, stated, “I am saddened to learn of the passing of former California State Senator Teresa Hughes. “Teresa Hughes was a close friend and colleague. We both served in the California State Assembly in the 1970s and 1980s. When Teresa was elected to the state Senate, she represented the 25th District, which included many of the same cities and communities in my congressional district. “We shared many exciting times working together in the California Assembly. Teresa was only the second African American woman elected to the Assembly. It was a time when the women’s movement began opening new opportunities for women. “Teresa was a strong supporter of then-State Senator Mervyn Dymally, for whom she worked prior to her election to the California Legislature. I recall the community rallying around her candidacy for the 47th Assembly District. They were proud to elect a professional educator committed to expanding opportunities for our community. I know how dedicated Teresa was to serving the people in South Central and Southeast Los Angeles. She was committed to strengthening the educational system for children in California. Teresa worked hard to improve the quality of life for low-income families, seniors and people of color. 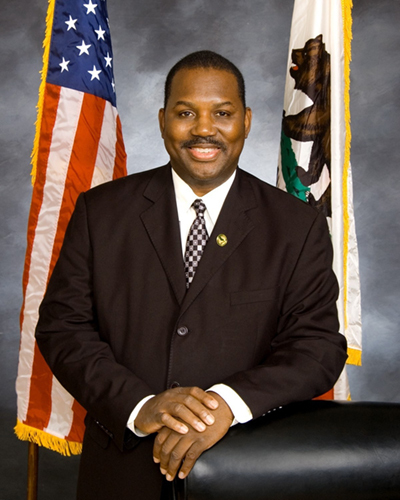 Senator Roderick D. Wright (D-Inglewood) noted that, during her quarter of a century of service in the California Legislature, Hughes represented many of the cities he represents today. She was elected to the state Senate in 1992, becoming the first Black and the first woman to be a member of the Senate Rules Committee. Also she sponsored a school violence prevention bill and a bill to provide equal opportunities for homeowner loans. California State Senator Curren D. Price, Jr. (D – Los Angeles), added his sympathies, stating, “I am deeply saddened by the sudden passing of Teresa Hughes. As a public servant, Teresa was a thoughtful leader and a strong, courageous and compassionate advocate for the poor and vulnerable. She represented her district with energy, determination and passion. Her tireless effort to improve the lives of her constituents was evident in all she did. She was an effective legislator who dedicated her career to helping small businesses, improving public schools, expanding job opportunities for Californians and ensuring access to health care. Her strong, positive leadership will be missed, but her memory will live through their work she started and through the countless lives she touched. Legislator, educator, beloved: This was Teresa Hughes. Both retirees, Hughes was married to Dr. Frank E. Staggers, a urologist. She is survived by her two children: attorney Vincent Hughes and Los Angeles Superior Court Judge Deirdre Hughes Hill; three stepchildren, Frank Staggers Jr., Barbara Staggers and Michael Staggers; four grandchildren; eight step-grandchildren; and two step-great-grandchildren. ? Memorial services for Teresa Hughes will be at Holman United Methodist Church, 3320 W. Adams Blvd., Los Angeles 90018 at noon Monday. Occupy L.A. What do they want?